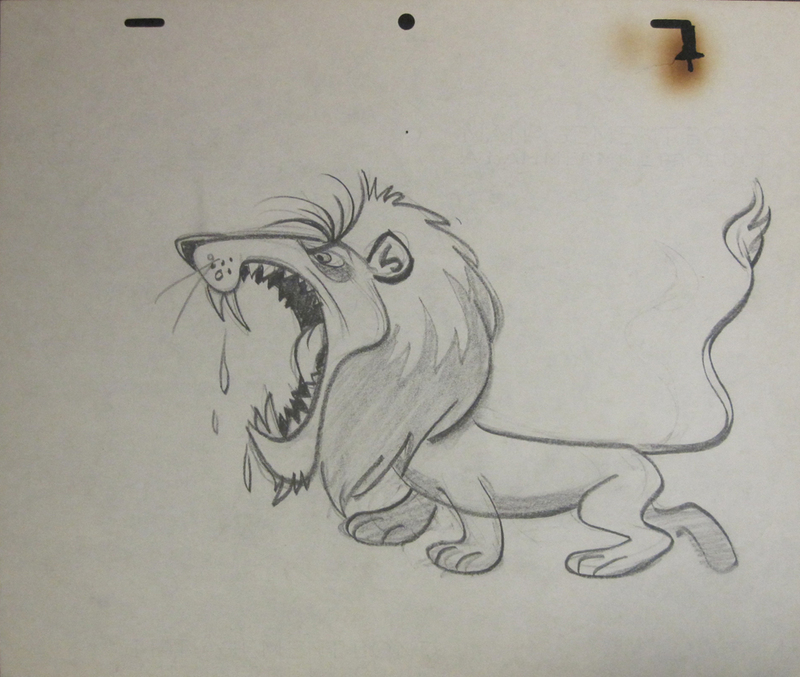 This is an early concept drawing of Lippy the Lion for the "Lippy the Lion" segment of The New Hanna Barbera Cartoon Series (1962). The untrimmed animation paper measures 10.5" x 12.5" and the image measures 6" x 9". There is a burned, slightly torn peg hole in the upper right corner.